The APPMA , in conjunction with the AIP, are pleased to announce the winner of the tenth annual Scholarship program that entitles one lucky person to receive entry into a Diploma in Packaging Technology valued at $9,000. The Diploma is an internationally recognised Level 5 qualification that is designed for those wishing to pursue a career in the packaging industry, or for those who are already in the industry and wish to extend their packaging knowledge and expertise. The Diploma is offered exclusively through the Australian Institute of Packaging who are the peak professional body for packaging education and training in Australasia. 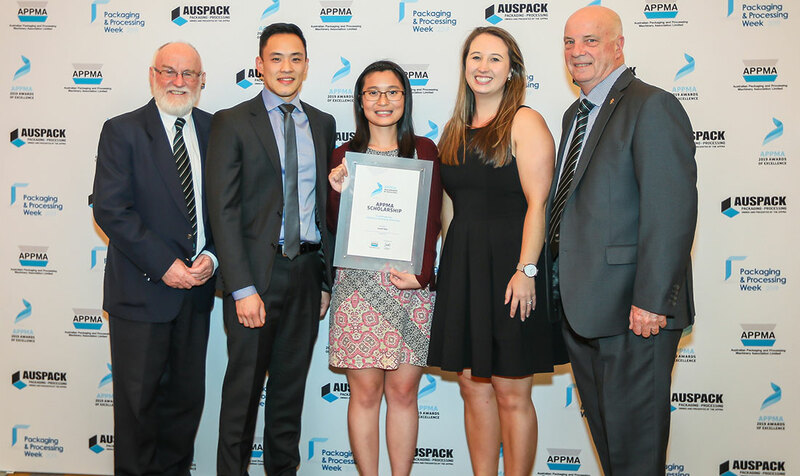 The 2019 APPMA Scholarship Finalists are: Janell Siek, Packaging Technologist, Nestle Australia, Brittany Puyol, Product & P ackaging Designer, Edlyn Foods and Karunia Adhiputra, Packaging Technologist – Technical & Production, Nestle Australia. 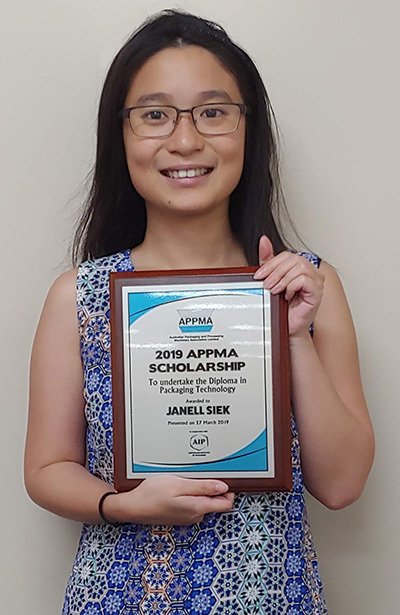 The 2019 APPMA Scholarship Winner is Janell Siek. Janell holds a Bachelor of Science (Food Technology) with First Class Honours and has been working in the packaging industry for four years. Janell sees that packaging is perhaps the most hard-working component of any product found in the retail space. She believes that packaging has a profound impact in a product’s lifecycle all the way from production to consumption and this keeps her interested in pursuing a career in packaging. As packaging itself is a very visible part of the waste problem, Janell is also very excited and motivated to see the upcoming innovations in our field so that one day we can truly say that packaging has had many leases of life and is well and truly sustainable. In applying for this scholarship, Janell hopes to build her packaging foundations as much as possible so that she can better innovate and problem solve. She also believes the Diploma in Packaging Technology will open doors for her in the field of packaging, such as pursuing further studies, opportunities to be a part of bigger projects and in the future a position as a Senior Packaging Technologist. She also sees that attaining her Diploma is her first step to becoming a Certified Packaging Professional. Janell continues to show her persistence in continued learning and professional development by moving from Food Science to packaging and both the APPMA and the AIP congratulate Janell on winning the APPMA Scholarship. Left to Right: Ralph Moyle FAIP CPP, Education Coordinator, AIP, Karunia Adhiputra, Packaging Technologist – Technical & Production, Nestle Australia, Janell Siek, Packaging Technologist, Nestle Australia, Brittany Puyol, Product & Packaging Designer, Edlyn Foods and Burton Beaumont FAIP, Scholarship Judge, AIP.